A growing child requires all the basic nutrients like proteins, vitamins, minerals, carbohydrates, fats etc. A new born feeds only on the Mother's milk and that is sufficient up to a year. But beyond that, this diet is not sufficient to provide all the necessary nutrients. Hence, parents need to start feeding the baby with other foods to make sure that a balanced diet is achieved. Only if your child has a balanced diet, will he grow up to be healthy and fit. Some parents find it a little confusing as to what they should give their child and when. Below you will find a simple diet plan for your child. You can consult your doctor for a proper diet plan. In the Early Hours Start the day of your child with a cup of full cream milk. Breakfast For breakfast the parents can give any of the following things to their child. ½ or 1 stuffed parantha with a stuffing of vegetables or paneer. ½ or 1 small cheela stuffed with vegetables to give it a colorful look. Brunch For brunch parents can give their children a cup of juice or a bowl of fruit chat. Lunch Lunch should include all the important nutrient rich dishes. For lunch the parents can give any of the following things. 1/2 cup daal with a chapatti or ½ cup rice. ¼ cup of daal, a small chapatti and some seasonal vegetables. Any paneer based veggie with a chapatti or ½ bowl of rice. Snacks You can give your child a small bowl of fruit salad or a cup of vegetable soup or a glass of milkshake of your child’s favorite fruit or you can make fruit smoothies. Dinner For dinner you should give your child something light and easy to digest food. Following is the list of dishes that you can give your child. ½ cup vegetable khichri with curd. ½ cup of soya granules along with a chapatti and some veggie. Dosa with chutney and sambhar. Aloo parantha with butter or curd. Here are some pointers that you can keep in mind regarding your baby's diet. Remember it is an important stage of development, so take extra care of your baby's diet. Start giving him new food but only one at a time and see if your child likes it and is not allergic to it. Do not give your child things like popcorns or nuts which have chances of choking the food pipe. Instead of breast feeding start giving your child whole milk so that it fulfils the need of fats in his body. Feed your child 5-6 times a day in small proportions. Give him different things to it so that he develops taste for all the things and enjoy eating them. Do not give your child soft drinks, chocolates or any such thing that would make him addictive and harm him as these things contain harmful chemicals. Encourage your child to eat fruits. 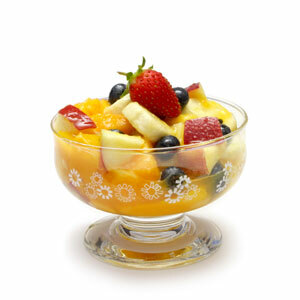 Seasonal fruits are very healthy and nutritious. Parents should give their child all sorts of things to eat so that their child learns to eat everything. They should try and make the dishes colorful by adding different colored vegetables as children love to eat colorful things. You can also make different shapes of chapatti to encourage your child to enjoy while eating.